I typically do not pray on Thursdays at the abortion center, but today while at home I felt a gentle prompting to go out and pray. I discerned that I would report to PP at 3 p.m. and pray the chaplet of Divine Mercy. Within a short time at the sidewalk, "Starflower" passed by me and I offered her my alternative pro-life material. Although initially very cautious, she eventually accepted my information after dialoging with me about its contents. Amazingly, she physically resembled my own biological daughter and offered me a gift of tiny flowers wrapped in a napkin. I accepted her impromptu gift. I immediately began discussing the sanctity of life from the moment of conception, as well as explaining the practical help available to women facing an abortion. I continued, "Even if a mom is considering aborting her baby, she will still remain a mom forever because you just can’t erase motherhood!" She began sharing her personal interest in Mother Earth, preserving the environment and protecting animal rights. Interjecting, I said, "Yes, human beings do play the most important role in this ecosystem by continuing the cycle of Life designed by God." At this point, she began confiding that she was pregnant and then slowly began displaying the small paper sack that held the contents of her RU-40 pills. She suddenly acknowledged, "I really just can’t do this, I mean take them. Something is telling me it isn’t right." I listened. We continued dialoguing for over thirty minutes, allowing ample time for developing rapport with each other, and at this point her heart began opening up to seek alternative help. She asked me for my telephone number in case she had further questions about the alternative services. She admitted, "It was only a one night stand." As she continued gazing at the little photo of the eleven week baby, she began confessing, "I have already done this once before." I continued offering her support and explaining the additional health risks of breast cancer and suicide. I also emphasized, "This is the fruit of the womb. Only you can decide to give your baby life it’s in your hands." She asked once again for information about the alternative life center, and I pulled out the Life Center pamphlet and wrote these words on it: "God bless you and may you have the courage to choose life." At this point she needed to catch her bus, so we both hugged each other briefly before she departed as I whispered into her ear, "May God bless you." She responded, "God bless you, too." Today a group of eight regular Helpers came out and prayed the Holy Rosary in the hot, summer heat. I served as the sidewalk counselor and attempted to distribute pro-life materials to people entering and exiting the parking lot. Near departing time, two unrelated individuals came over and joined our group in prayer, bringing the total to 10 Helpers. The new female Helper disclosed to me that she had ten children ranging from 22 to 10 years old. She confided that she had not been to church in many years and had never learned to pray the Holy Rosary. She asked, "Would you teach me and my children to pray the rosary and go to church with me?" I agreed, we exchanged phone numbers and will set a date to meet with her and her ten children and make arrangements for her and her children to attend Holy Mass with me at my church someday. SAN FRANCISCO, July 29 /Christian Newswire — Pope Benedict XVI’s second volume ofJesus of Nazareth will be published in English by Ignatius Press, according to an agreement between Ignatius Press and the Vatican’s Publishing House, Libreria Editrice Vaticana (LEV). Slated for release in Spring 2011, the much anticipated second volume of Jesus of Nazarethtakes up where the first volume left off. "We are eagerly awaiting Volume II because it will contain the Holy Father’s reflections on the central mysteries of our faith: the Passion, Death, and Resurrection," says Ignatius Press founder and editor, Jesuit Father Joseph Fessio. Fr. Fessio is a former student of Pope Benedict. "Jesus remains controversial," notes Ignatius Press president Mark Brumley. "Christians believe he is the Son of God, the founder of the Church, and the Savior of the world. For non-Christians, Jesus is almost anything else — a myth, a revolutionary, or a prophet whose teaching was misunderstood or distorted by his followers." Benedict XVI insists Jesus is the Son of God, yet the pope acknowledges that opinion is divided. He brings readers face-to-face with the challenge of Jesus. What to make of a real man who taught and acted in ways tantamount to claims of divine authority? Believers and unbelievers alike must come to their own judgment about Jesus and what he means for them. The second volume of Jesus of Nazareth will help them to do so. 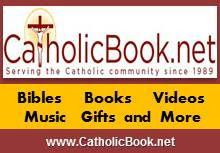 Ignatius Press is the primary English-language publisher of the works of Pope Benedict XVI/Joseph Ratzinger. Benedict XVI was elected pope on April 19, 2005, becoming the 264th successor of Peter as the Vicar of Christ. Born Joseph Ratzinger, he was for over two decades the head of the Vatican’s Congregation for the Doctrine of the Faith under Pope John Paul II and the president of the Pontifical Biblical Commission. A world-renowned theologian, Ratzinger was a theological expert at the Second Vatican Council, and in the years following the council he was one of its prime interpreters. He is probably the most accomplished theologian to be elected pope in modern times. pictures of the statue just to have them as I loved it so much. 1993, the first day I went to see Fr. Smith. dining room at home. It is a pail green room. The very hairs of your head are numbered! pro-life news updated throughout the day, visit LifeNews.com. Is your pro-life group or pregnancy center looking for an affordable speaker? on the Senate floor, which is prompting an outcry from Republicans. to a close with a vote at the end of Thursday. debate time is not appropriate for a Supreme Court nominee. Samuel] Alito took four and five days on the floor, and Sotomayor was three. and say they don’t have a right to speak. That would not be a good thing." states to fund abortions in the newly-created program. have to ferret out abortion funding in other programs. funding aspects of the health care law. cause tumors and have immune system rejection issues when tried in animals. rejecting the injection of the cells. on an stem cell therapy for acute spinal cord injury. animals injected with the embryonic cells. stem cell trial was flawed. be it, he said at the time. abortion he performed at his facility. Office reclassifying Ying Chen’s death as a homicide. to revoke Rutland’s medical license. 911 for emergency medical help for the woman. the Senate seat while 32 percent of Floridians back Rubio. at 33 percent, meek with 13 percent and 17 percent undecided. of Democratic voters are still undecided. of an ad advocating the election or defeat of a candidate or not. communication, the donor would be reported to the Federal Election Commission. of the administration and the Democratic majority. you are a labor union—groups funded with membership dues are largely exempt. which vowed to score a vote for the DISCLOSE Act as a vote against gun rights. bar Congress from using taxpayer funds for abortion or abortion coverage. taxpayer funds for abortion or abortion coverage," he said. (RLM-PAC) made 386 endorsements, ranging from governor to county commission. pro-abortion Democratic Congressman Joe Sestak in Pennsylvania s U.S.
shows Toomey earning 45% support, while Sestak picks up 39% of the vote. Six percent (6%) prefer another candidate in the race, and 10% are undecided. That s little changed from two weeks ago. candidate Dino Rossi, who picks up 47% support. Robin Carnahan in Missouri s race for the U.S. Senate. race, and four percent (4%) more are undecided. for a pro-life speaker for your next banquet, conference or convention? Fund attorneys Thursday that it will once again allow popular professor Dr.
Good News: Fewer mothers die in Nicaragua. In 2006, Nicaragua tightened its pro-life law making abortion completely illegal. It reaffirmed that prohibition in 2007. The results are in. There were 50 maternal deaths in 2006 and only 21 in 2007. The infant mortality rate which had been 52 per thousand births in 1990 dropped to 28 per thousand births in 2006. So making abortion illegal saved not only unborn babies’ lives but also many mothers’ lives. Chile’s record is also outstanding. Abortion in Chile was legal from 1931 through 1988 and then forbidden in 1989. The result was? Maternal deaths from all causes decreased 94% from 1960 to 2007. Maternal deaths from abortion decreased 98% during this same period. Maternal mortality from all causes declined 44% after abortion was forbidden with maternal deaths due to abortion declining at an additional 10% during that time. World-wide drop in maternal deaths puts pro-abortionist on the defensive. Studies published in the Lancet (Britain) documents a significant reduction of 35% in the world-wide maternal mortality rate. This study of 181 countries (1980-2008) flies in the face of continuing claims by pro-abortionists that abortion must be legalized to stop these deaths. The rate which had remained fairly steady at about one-half million dropped to 343,000. This calculates out to an average drop of 1 and 1/2% per year since 1980. (Focus on Asia): "Green Revolution Has Little to Offer New Hungry Mouths" – As it took root in the rice fields across Asia, it was hailed as the solution to the hunger afflicting millions of people in the region. But four decades on, the much vaunted Green Revolution appears to have reached its limits, unable to meet new demands, to feed new mouths. Since our culture isn’t willing to take measures against sexual obesity, Christians need to be especially mindful of what their kids are consuming online. Just as you wouldn’t feed your children deep-fried Twinkies for dinner, you shouldn’t give them unlimited and unfiltered access to the internet. A little diligence can make a big difference – the kind of difference you won’t get from reading a nutrition label. "Within the United Nations, there is more and more attention to focusing on abstinence and the reduction of the number of sexual partners as well as the strategy of promoting condoms," US Msgr. Robert Vitillo, special adviser to Caritas Internationalis on HIV and AIDS, told Catholic News Service. "This is a validation of what we’ve done." The bad news is that 1.02 billion people are going hungry in today’s world of plentiful supplies. The even worse news is that this figure only tells part of the global food insecurity story. However, the government has for decades turned a blind eye to the flourishing illegal abortion trade, with the result that South Korea already has one of the highest abortion rates in the world. A United Nations (UN) treaty committee notorious for its promotion of abortion and ideological positions not supported by UN treaties, concludes its session this week after launching attacks on motherhood and traditional gender roles, while calling for an ever-expanded array of new sexual and reproductive "rights". The session was especially notable for the statement by the Russian Federation, which reported that decreasing abortion rates were helping to decrease the overall maternal mortality rates in that country. Large-hearted Westerners – eager to fill out their families while helping a child in need-have adopted tens of thousands of children from these and other poor countries. Very few are aware of this heartbreaking underside of international adoption – and many have trouble believing it when they do hear such stories. But the fact is that for decades, international adoption has been a Wild West, all but free of meaningful law, regulation, or oversight. In the past ten years, upward of 20,000 Western families each year have adopted internationally. Tens of thousands more are on waiting lists for years. Western adoption agencies, seeking to satisfy demand, have poured millions of dollars of adoption fees into underdeveloped countries. Those dollars and Euros have, too often, induced the unscrupulous to take children away from families that loved and would have raised them to adulthood. Corruption skips from one unprepared country to another – until that country gets wise, changes its laws, and corrupt adoptions shift to the next unprepared nation. It is time that we recognize that the continued existence of human persons on this planet or anywhere is possible only if there are children being born in sufficient numbers to provide adequately for the well-being of their elders and to develop new and creative ways for producing food, fuel, electricity and all needed goods for civilization today. As John Paul II so frequently said, "The future of civilization passes through the family." The new government initiative will pay families for every new child and deposit money into the newborn’s bank account until they reach 18, effectively rolling back years of efforts to boost the economy by reducing the country’s once runaway population growth. Nearly half of all the respondents said they had encountered someone who was afraid to have casual contact with them because of their infection with HIV or AIDS, and 1 in 4 reported that someone would not kiss them or share food or drink with them. These reactions to people with HIV/AIDS reflect still relatively widespread beliefs in many countries that HIV or AIDS is easily transmitted through everyday activities, and that people with HIV or AIDS should be avoided, researchers noted. The 2010 World Population Data Sheet says that a shrinking pool of working-age populations is jeopardizing social support and long-term health care programs for the elderly. The Obama administration has approved the bid by cloning company Geron to undertake the first trial involving the use of embryonic stem cells in humans. They have never been used before in people because the cells cause tumors and have immune system rejection issues when tried in animals. Scientists and pro-life advocates say human embryonic stem cells are not ready for trial because problems associated with the cells in animals haven’t been solved. The embryonic stem cells still cause tumors and have issues with the immune system rejecting the injection of the cells. 4. BECOME INVOLVED: Several years ago Fr. Jerry created a project entitled, "Journey for Life into the Heart of Asia". The project appeals for donations to help finance plane travel for lectures and seminars to developing countries in Asia. Strong focus is centered on reaching Asian Catholic Major Seminaries, Universities, Parishes, Hospitals and Family/Pro Life related groups. The lectures place emphasis on "The Asian Family at Crossroads: Life Issues, Trends and Challenges". www.LifeIssues.net. Pass this free service to your friends and various groups. "Representatives like Kathy Dahlkemper (PA-03), Joe Donnelly (IN-02) and Brad Ellsworth (IN-08) who voted in favor of the federal health care bill but co-sponsored this bill have publicly admitted that the Patient Protection and Affordable Care Act allows for the taxpayer-funding of abortion, that the Presidential Executive Order is insufficient and that a more permanent fix is necessary. "The Smith-Lipinski bill will consolidate and make permanent a string of policies that have attempted to prevent taxpayer-funded abortion despite a pro-abortion agenda being imposed by a Democrat-controlled Congress and America’s most pro-abortion president in history," Dannenfelser continued. During the drafting of the federal health care bill, pro-life Members of Congress expressed concern over an accounting gimmick allowing for federal subsidization of abortion that was eventually written into the bill. After the bill’s passage, President Obama attempted to placate the pro-life movement by issuing an executive order on abortion funding abortion that did little to address its abortion provisions. And, as states began implementing high risk pool programs several months later, some tried to include taxpayer-funding of abortion. Only after vigorous opposition by pro-life groups did the Department of Health and Human Services (DHHS) issue a regulation promising that there would be no taxpayer-funding of abortion within these programs. But, in response, the White House stated that the regulation "Is not a precedent for other programs or policies given the unique, temporary nature of the program…"
"In other words, the White House is leaving the door open for abortion funding elsewhere in the health care bill. Because the executive order doesn’t fix the accounting gimmick, doesn’t address other abortion concerns within the bill and, at the end of the day, won’t hold up in court, only a more permanent and universal fix will prevent taxpayer dollars from paying for abortions," Dannenfelser said. SBA List’s fight against abortion-funding provisions in the federal health care bill has been a top priority since late last year, an effort continuing into the mid-term election cycle through its $1.6 million Votes Have Consequences project. In August, the SBA List will be visiting districts of "pro-life" Democrats who voted in favor of the health care bill to educate voters about their Representatives’ vote in favor of pro-abortion bill. "Not surprisingly, other ‘pro-life’ Democrats who voted in favor of the health care bill like Reps. Marcy Kaptur (OH-09), Steve Driehaus (OH-01), Bart Stupak (MI-01), Baron Hill (IN-09) and Alan Mollohan (WV-01) have not co-sponsored the Smith-Lipinski bill," Dannenfelser said. "Poll after poll confirms that the pro-abortion votes of these Congressmen and women do not represent the views of their constituents. In November, these Representatives will see that their votes have consequences." "Members of Congress now have the opportunity to repeal abortion provisions within the health care bill. The Smith-Lipinski bipartisan effort eliminates all need for a patchwork of policies and every pro-life Member of Congress must co-sponsor it," Dannenfelser said. For further information, please contact Kerry Brown at (703) 470-1926 orkbrown@sba-list.org. I am so grateful to each of you for your prayers and good wishes. I especially thank you for your prayers for my family. Through God’s goodness, I am recovering nicely from an unexpected illness and with rest should be fine. The work goes on, of course, and we are blessed to have a team in place, all of you, who serve steadily to bring God’s graces to His children. Together, we are sharing these graces in fifteen languages. Such progress! In the days to come, you will hear from our Treasurer, Mr. Euse Mita. He leads our team in the effort to spread this rescue mission. He will update the apostolate on current priorities, goals and projects. In the meantime, we send our prayerful support to all lay apostles heading up the many, many local evangelization efforts. Chicago at St. Daniel the Prophet. This is a direct answer to my prayer. Dear apostles, if you were going to the event that was postponed due to my illness, be sure you attend this evening instead. The talk I was giving was recorded in Los Angeles and that will be played by DVD, so I will be there in that way. And we all know that lay apostles need Jesus, not Anne. I promise you, dear friends, Jesus will be there and He has promised to send great graces through every one of our Eucharistic events. During my convalescence, I am quite happily writing about marriage as well as praying for all of you, all of your apostolic endeavors and all of your families. God’s gratitude flows down to each one of us and through each one of us. No sacrifice, no effort on His behalf is wasted, so together, we rejoice in all of the good that comes into the world through our ‘yes’ answers.